Disclosure: This is a sponsored post on behalf of Johnsonville; all opinions expressed are my own. Growing up my parents were good at creating Christmas memories for me and my siblings especially centered around food (thank goodness for stretchy pants!). This year will be our last going to Maryland to see them for Christmas and just as we had a last Christmas in Ohio before they moved to the DMV, I'm still looking forward to some things staying the same: most importantly, the delicious menu on Christmas day. Throwback Christmas - my mom has epic sewing skills too! I've never replicated my mom's breakfast casserole she makes as a labor of love (she detests eggs but makes it anyway! 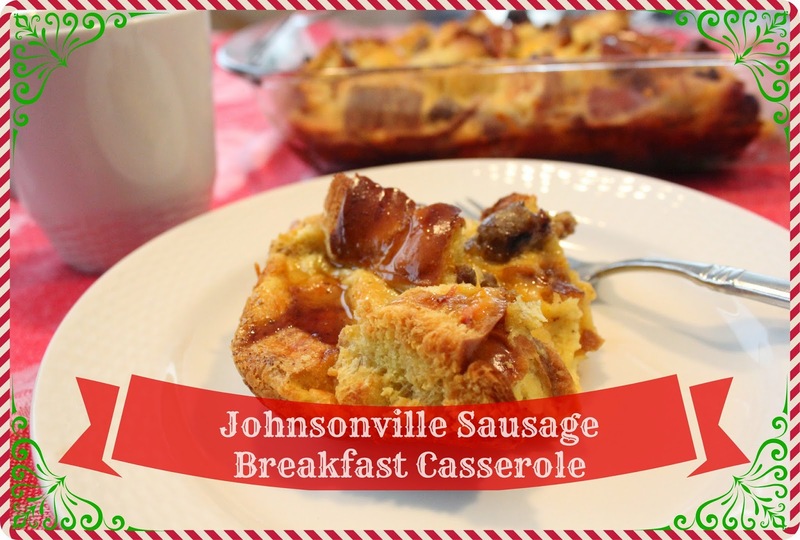 ), but this year when Johnsonville reached out to me to create a breakfast casserole I used my mom's recipe as inspiration. Although I helped her make it time and time again, I don't know exact measurements so I was unsure if it'd be as good as hers. 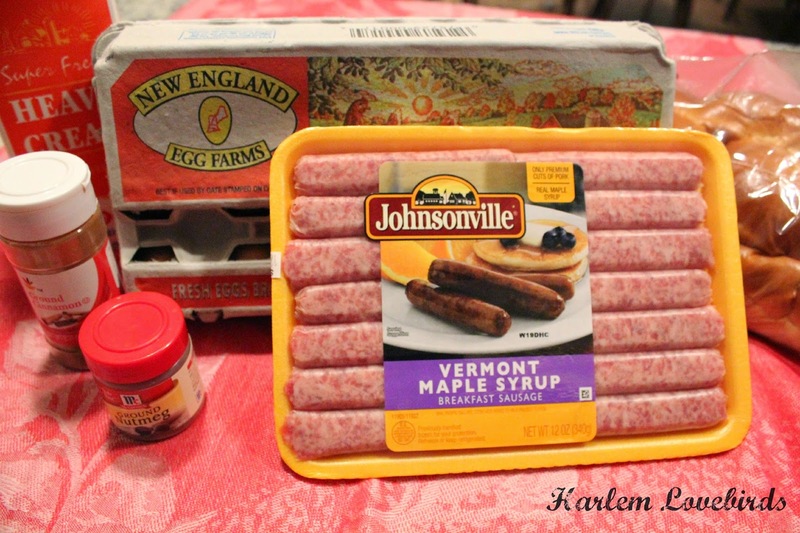 Starting with Johnsonville sausage, I selected the Vermont Maple flavor which has real maple syrup. Next, I thought about which breakfast items I like most: challah bread French toast, eggs, and cheddar cheese. 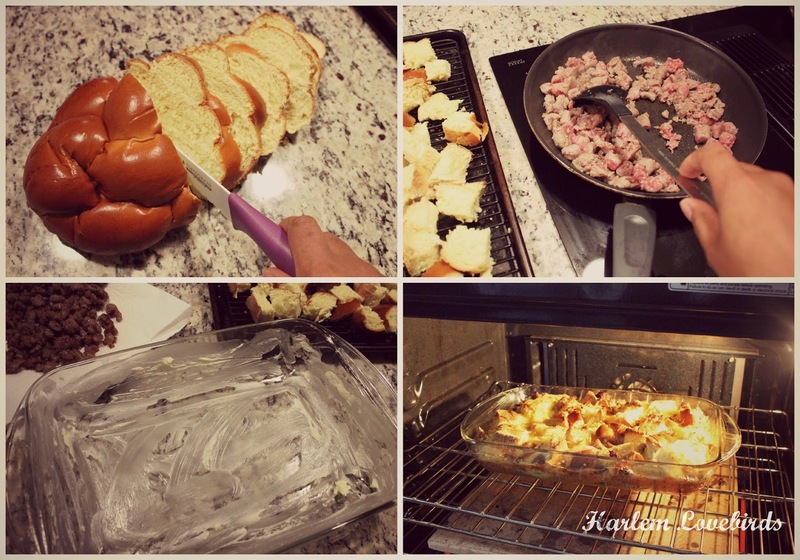 I have a delicious stuffed French toast recipe I like to make that uses Texas toast and a critical step is drying out the bread plus I remember my mom would always make it the day before so I knew I too would want to make it as a make-ahead recipe. I'm sure native New Englanders will disapprove, but my husband and I do not like the taste of real maple syrup. I know, I know. I've tried to like it, but I've been conditioned by the fake stuff all my life and can't break the habit. At least there was real maple syrup in the Johnsonville sausage so I cut myself a bit of slack! To make my breakfast a bit more authentic, I did have a cup of Green Mountain breakfast blend coffee. From Vermont, it is some of the best coffee I've had in my life and goes perfectly with the breakfast casserole. To learn more about Johnsonville (and for coupons!) be sure to visit their website and follow on Facebook and Twitter. Does your family have a traditional Christmas meal? 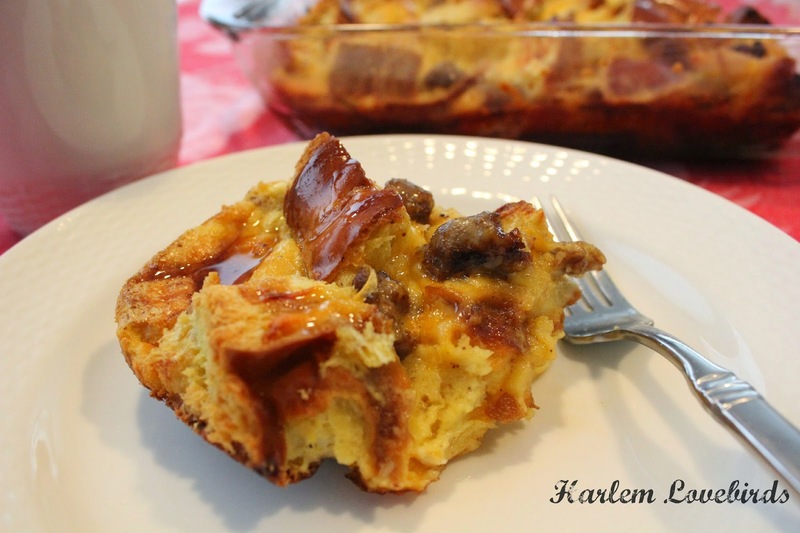 What do you like to put in your breakfast casserole? P.S. 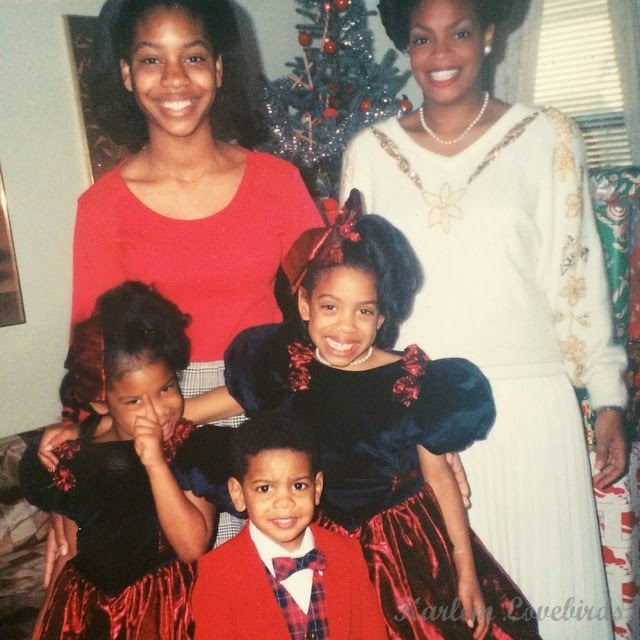 To see Nia's 1st Christmas click here! If I can find her 1st Christmas PJs before we leave I'll have Grayson wear them.